What a gorgeous tropical beauty, Christina! 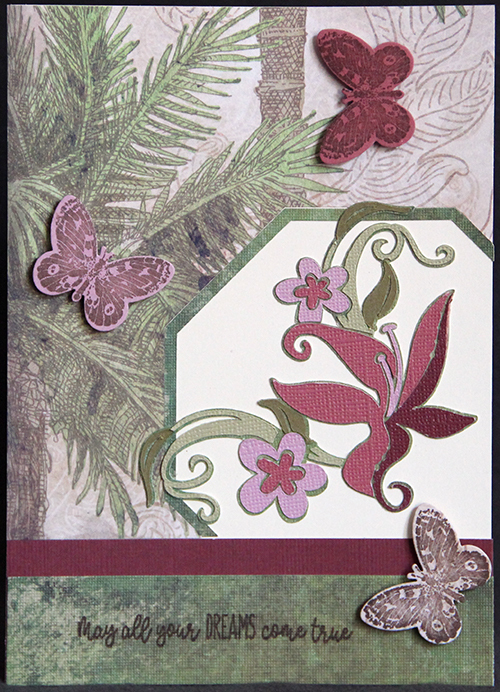 You've done a fantastic job of going outside your element to create this lovely vintage inspired card. Thank you so much for joining us at the Frilly and Funkie Challenge! hello! very pretty, sweet design and cute butterflies! I am so glad you played along with us at simon says stamp wednesday challenge!